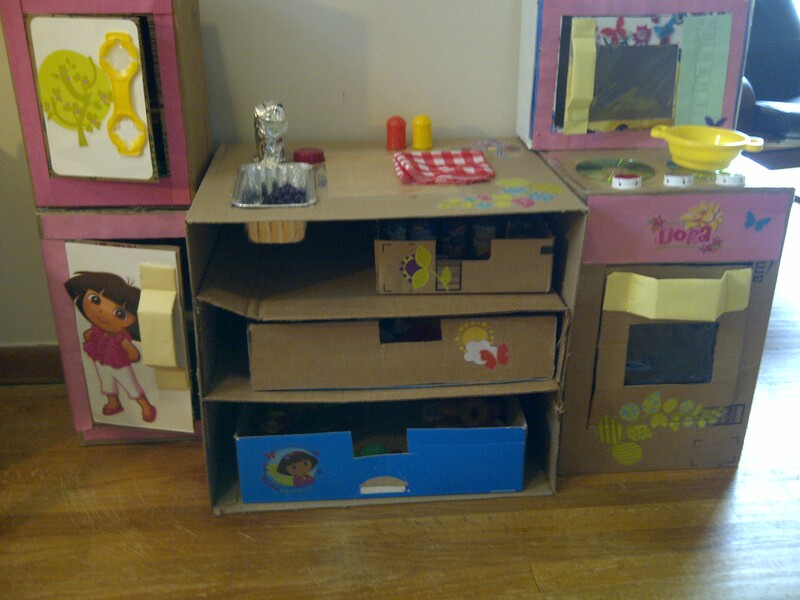 This creative mom had so much fun making a cardboard kitchen for my 2-year-old daughter. A friend hooked me up with large boxes from her workplace; all the other items were objects found in my home (discarded colorful paper, gift boxes, paper grocery bags, toilet paper rolls, plastic wrap, aluminum foil, foil pan, empty pill bottles, CDs, and the plastic ring that holds two bottles of Costco dishwasher detergent together.) My tools included a hot glue gun, box cutter, sharp kitchen knife, paper cutter, tape measure, self-healing mat, Scotch tape, packing tape, and permanent markers. The only money I spent was $8 for the Dora decals. The decals helped cover up some of the existing print on the boxes and also created a uniformity among the pieces. When you create it yourself, you can customize! 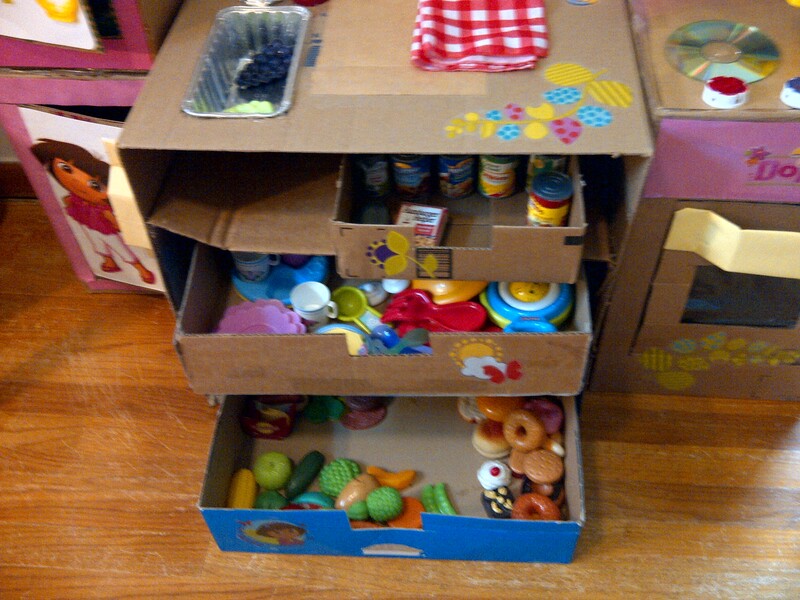 I made sure there was lots of storage space for the toy food and dishes. The slide-out storage drawers make it very easy to tidy up and keep the area looking neat. My only disappointment: The project is done.